In the period leading up to September 2014, the Association provided detailed advice and support to help members implement the new requirements. The initial resources are geared towards helping schools get to grips with the new curriculum. 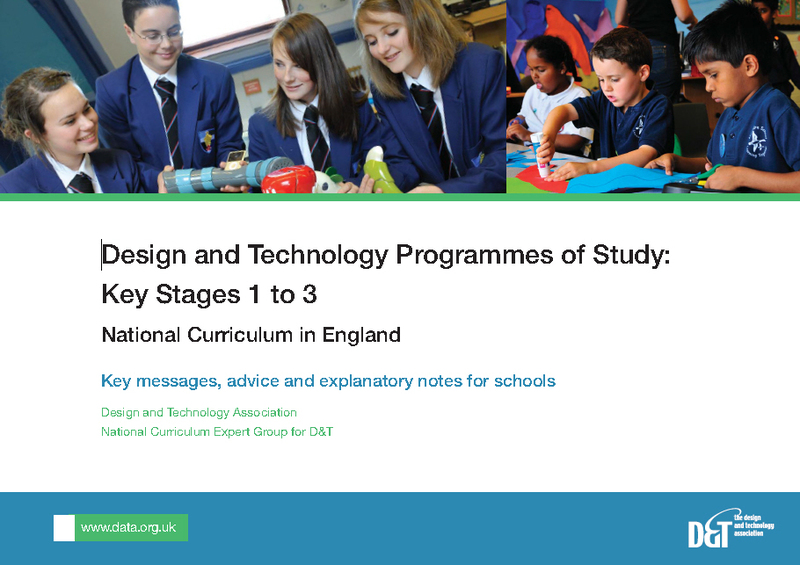 Perhaps the best place to start is the annotated version of the programmes of study – the booklet has been produced by the D&T Expert Group and is published with issues of D&T Practice and D&T Primary sent to members. If ever you need to check what a word or a phrase means, this is the first place to look. The booklet can be downloaded free in pdf form from our website. Please feel free to distribute it electronically to all staff in your school or other schools that you work with. 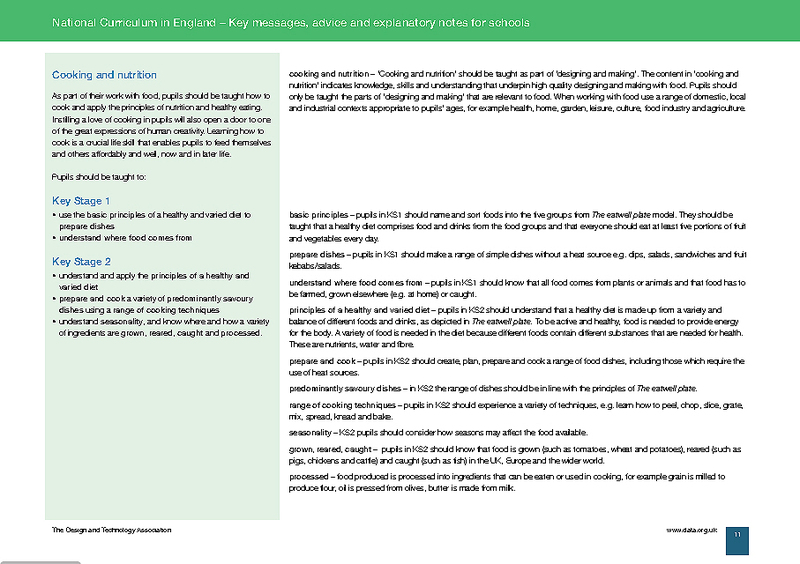 You might also find it helpful to take a look at the school curriculum principles chart. 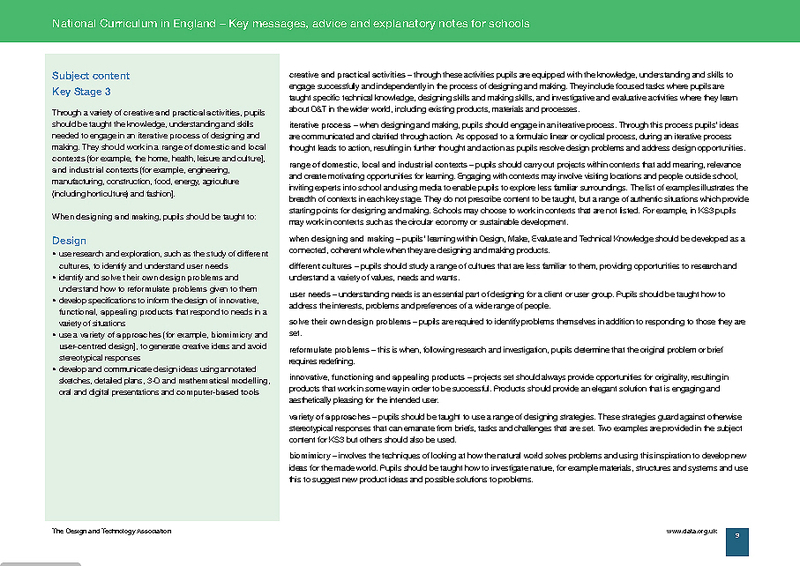 These are based on the six ‘D&T essentials’ originally developed by the Association a few years ago to help schools decide whether or not their D&T projects were genuinely design and technological in nature. The purpose of the chart is to help teachers check whether the experience students are receiving in D&T has all the necessary ingredients – user, purpose, functionality, innovation, design decisions and authenticity. The new National Curriculum is consistent with these principles so they give a good indication of whether D&T in your department is heading in the right direction. Printed copies are also available in bundles of 6.